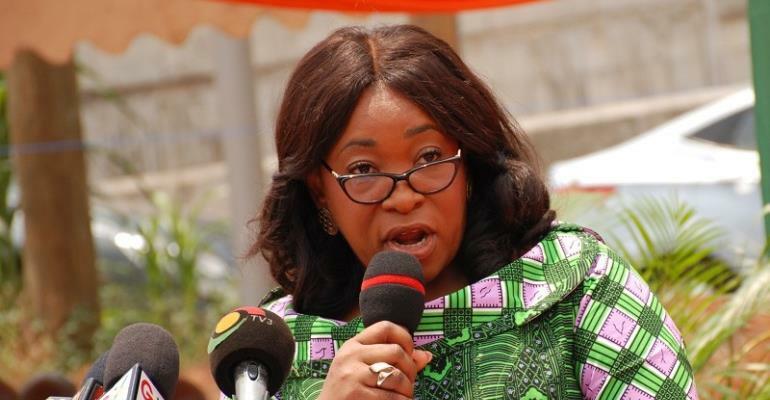 The Minister for Foreign Affairs and Regional Integration, Shirley Ayorkor Botchwey, addressing the opening session of the 2019 La Francophonie week in the capital, Accra, themed “Say it in French…please" has said the decision to obtain French as a second language is a major concern of the Government of Ghana, in line with national priorities. She intimated that prioritizing the French language in Ghana has become even more necessary now so as to further enhance relations for better cooperation at all levels with the country's Francophone partners. This comment by the foreign affairs' minister which is a government position has come under barrages of attack from a sect of Ghanaians including some media personalities and celebrities. In my opinion, the criticism was misguided and based on deficient intuitiveness than foresight (no disrepect to them). Merriam-Webster dictionary defines language as a system of conventional spoken, manual, or written symbols by means of which human beings, as members of a social group and participants in its culture, express themselves. In consequence, one of the ways to connect with our neighbors, is through language. Ghana is a multilingual country in which about eighty languages are spoken. Of these, English, which was inherited from the colonial era, is the official language and lingua franca. The languages indigenous to Ghana, Akan is the most widely spoken. We (country) have not made an attempt to use any of the indigenous language as an official lingua or talk about promoting it internationally. Considering the age we are in, the argument made by skeptics about considering a local language as an official/national language is flawed from the start due to our ill commitment towards a national discourse on which indigenous language to adopt. There are several languages spoken in Africa, estimated 2000 and over. After gaining independence, many African countries, in the search for national unity, selected one language, generally the former colonial language, to be used in government and education. However, in recent years, African countries have become increasingly supportive of maintaining linguistic diversity. Language policies that are being developed nowadays are mostly aimed at multilingualism which the Ghanaian government also seek to achieve however receiving a negative uproar. The Ghanaians criticising the policy and calling for an indigenous language as a national lingua, have they considered the ideals of African unity and globalization? Some prominent Africans such as former Ghanaian and Malian presidents, Osagyefo Dr. Kwame Nkrumah and Alpha Oumar Konaré, have referred to cross-border languages as a factor that can promote African unity. Therefore, I believe we should support the call of the foreign ministry other than the sentimental and nationalistic feelings towards the call for a second language, French. According to The Economics on African Demographic report, English, French and Portuguese are important languages in Africa. About 130 million, 115 million and 30 million Africans, respectively, speak them as either native or secondary languages. French has become the national language of most African countries including our immediate neighboring countries on the north, east and west (Burkina Faso, Togo & Côte D'ivoire). The economic partnership and transactional relationship among anglophone and francophone sects are phenomenal however, there is a schism due to language barriers and this can be addressed through language policies. Through (among other factors) sheer demographic weight, Africans are increasingly taking ownership of the three world languages as they are having an ever-greater influence on movement, research, partnership, economic growth and development in the African countries as well as at the international level where English, French and Portuguese are spoken. These are important factors that resonate with the African unity as well as our international relations. We, as a people should rally behind the call due to its numerous advantages other than the unmerited criticism.